Folks, it is a fun-filled day here at KBS on this, the day before (inter)National Scrapbook Day! So much to do and see….it’s just too exciting! First on the agenda would be the first ever Stamp sale! Buy 2 or more physical stamp sets and save 10%. Use code NSDSTAMP at checkout. Which comes in mighty handy on this first day of May…wheeeennn…new stamps are in the house! We have Oh Yeah, Maxwell, and Maxwell Outline. I am so excited about these new stamps! As per usual, you can mix and match these with other KBS stamp sets. Here’s how awesome the Maxwell stamps work with the Kramer stamps from last month! Now let’s move on to another fun treat. Here’s some gorgeousness from Miss Layle, who is using stamps from previous releases (in digital form). AWEsoooome! tiny details all over the place. love how she set patterned paper into the hearts. I’ve been wanting to play around with a large die cut background for a while and thought Kerri’s heart background would be a fun one to play with! I wanted my hearts to be a bit larger, so I increased the scale to 150% After I cut the design, I used tiny scissors to cut away some of the hearts so I’d have full hearts all the way around. I then used one of the insides of the hearts for a template and cut hearts out of patterned paper. I used a 6×6 pad for the papers – that way I didn’t waste a full sheet of 12×12 paper and the pattern was scaled to size. In a few cases I used the white heart that was cut out from the background to ‘fill’ the die cut hearts; using pop dots to adhere them makes them stand out. Such a lovely page Layle! And now let’s do another great giveaway! We’re giving away a stamp set of your choice to three lucky people! LOVE anything and everything Kerri Bradford, especially her classes! Can’t wait to try out her new gorgeous stamps! 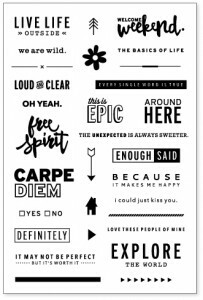 Loving your stamp sets here in Ohio…and yor awesome digital files. Going to allow myself some crafting time before I go to work at 4! I’m from Atlanta and I really just hope to get some photos selected to print today. Fridays are always SO BUSY at my house! I’ve been waiting ALL WEEK for this sale! Yahoo! Looking forward to NSD 2015! Love your stamp sets Kerri and thank you for the opportunity to win. I’ve been waiting all week for a peek at the new stamps! They do not disappoint – LOVE them! Love the new stamps Keri! Can’t wait to get them! Thanks for all the goodies this week too. You are awesome! hopefully work on tidying up my scrap space a little! I’m from IL and for NSD, the message board that I frequent has an online crop. I am planning to craft the whole weekend away. Yay! Love your new stamps!! I think all three sets are versatile, but that very first one, Oh Yeah, is so awesome. 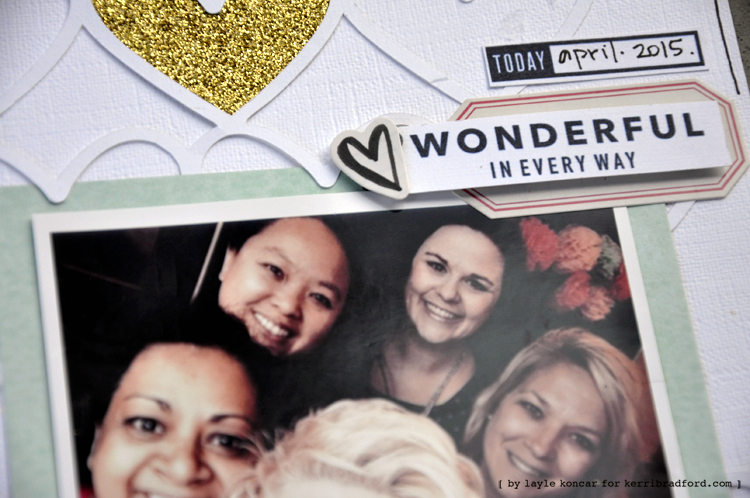 The words are so versatile, and I love the pieces that are added to “layer” the stamps!! So cool, way to go Kerri! i’ll be watching my 2year old grandson in the morning and scrapping at home in the afternoon. A big hello from central Montana! Love your stamps!! I’ll be working tomorrow running a NSD party. Love the new stamps, Kerri! I plan to check out all the sales, LOL, and maybe even do a bit of scrapping! Hoping to work on a project for my nephew and to reorganize my scrapbook room this weekend in Pennslyvania, Kerri. Lovin’ the stamps, BTW! Love the new sets! Love them all! Thanks for the chance! I wish I could hide out on iNSD and play but I fear I have a Saturday of usual activities. I’m going to sneak some shopping in around the edges though. Love your stamps, I need to figure out how to make more time to get my craft on…. Stillwater, OK – Go Pokes! Love your stamps! I have a couple of them, but there’s always room for more! Woot! Completely forgot it was May 1st and new stamp day until I saw your post on FB!!! Sue from SE Wisconsin. I’ll be working on My PL pages be following various blogs with NSD ideas. I love how you combined the two Maxwell alpha sets! I’d love to win some. Hi, I’m Laura from Ohio. My plans for NSD are to work on some layouts with photos from 2009. Lara From PG UT. I will be making memories instead of scrapbooking them. I attended an all day crop last saturday. Love these new releases so cool! I plan to do some scrapping and playing along with some online crops! Gonna be fun!! Love all the stamps!! Can’t wait until you deliver to Canada!! I forget to mention I am in Maryland and my NSD will be spent in Aruba taking pictures to scrap with all this awesome stuff! I’m loving these new stamps. Can’t wait to get my hands on them! Thanks! I’m from Tennessee and my plans are to scrap, scrap, scrap!! Everything is coming up lovely! so many great options with your stamps! Coeur d’Alene, ID. My husband is taking the kids so I can do some scrapping! I’m in Cypress, TX, and tonight my son is having Confirmation at our church…so, my in-laws are in town and I likely won’t be doing any crafting (they’re in my guest room/craft room!). But – we will be making memories, and hopefully take pics so I can scrapbook them later! 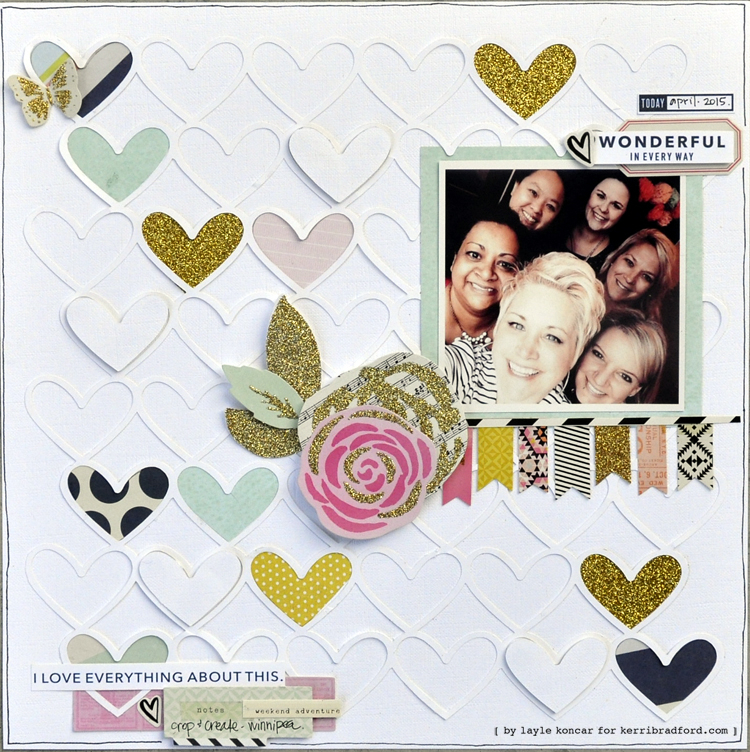 I am in love with your new stamp sets… I can’t wait to see more! I’m from Crete, Il and I’m scrapbooking for NSD. I will be here in my She-Shed, one of the bedrooms in our little interim apartment, trying to find all the items I need to create as many pages as I can! Love the new stamp sets! Thank you for the chance to win! Yay! I love that now I can save money buying my Mother’s Day gifts! ;) Thank you! Your stamps are gorgeous. 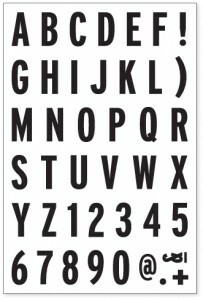 I love how you mix type! I am from Maryland (Ellicott City) and I am hoping to do some photo organization on NSD. Maybe work on a photo book, if I can get my photos under control! Love your awesome stamps! Thanks so much for being so generous and for allowing an option for us international followers! I’m near Winston-Salem, NC. I WAS going to watch my son play in a baseball game, go to a spring fest a few towns over and then get some scrapping in. However, based on the “ick” that he seems to have developed today, I think I’m going to get quite a bit more scrapping in than I originally planned because it doesn’t look like we’ll be going anywhere. I have to work, but am looking forward to time off in a few weeks to catch up on scrapping!!! Love your blog and FB posts. I follow you on FB and Instagram. Congrats on your daughter’s graduation and your son’s documentation trip to Somoa Kerri! I truly enjoy your posts and products. Love all your stamps Kerri!! Seattle loves Kerri Bradford! Or at least I do! Love the stamps! I am from O-H-I-O and I will be making cards! The different stamp sets are all fantastic. So awesome. I’m going to spend the day scappin’ at home. I’ll be using the computer a lot by snapping up a lot of good deals like yours too! Thank you. I’m from Central Virginia and I’ll be popping in and out of my scrappy happy place as I can during the day. Got a birthday to decorate for and celebrate tonight! I live in the far Western suburbs of Chicago, IL. I’ll be working on an anniversary card today and spending the rest of the time with my family, which is something I try to focus on during the weekends when they are all home. 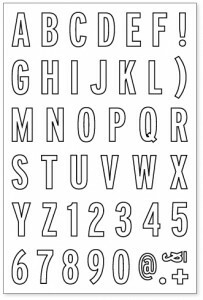 I love the stamps – I’ve been reading your blog about them for a while I will have to break down and get them – they are just the right size and nice clean lines! In MN and will be scrapbooking with my friend tonight! I hope to get some scrapping done, but with my hubby out of town and 2 littles to take care of it may not happen. Love the stamps! I am loving your new stamps. I also love the heart background on the LO you featured. From San Diego. We are getting things done around the house like painting. Then I am going to play. I’m from beautiful NW Montana and am working on a baby album for my grandson’s teacher. How fun! I’d love to win one of your stamps sets! Oh my goodness! A lot of very cool stamps + goodies here today! And can I just give a few High Fives for that amazing scrapbook page?! Y’all are so inspiring … thanks! I worked outside transplanting some plants and herbs. I’m in Utah and I went out to breakfast with my mom, and then spent the rest of the day working on a mini album. Thanks for the chance to win! Scrapping late at night after spending the day outside! I’m from Fort Collins, Co, and I’m spending NSD…packing up my daughter’s house in Provo so she can leave for Honduras on Monday! Not too scrapbook-ish, but fun to be with her. 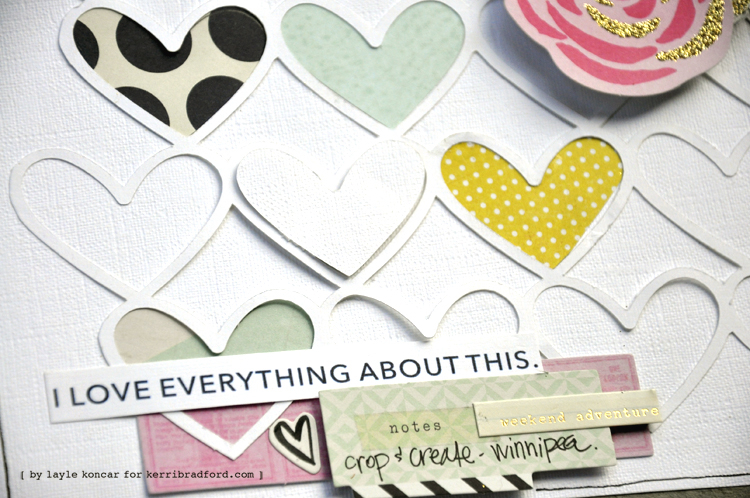 I’m from TN and I did some scrapping yesterday, and lots of blog hopping!